(Newser) – In the movie I, Tonya, the film on the life of disgraced figure skater Tonya Harding, a shocking scene depicts a moment when Harding's mother threw a steak knife at her daughter, sticking in Harding's arm, during an argument. Now, in an interview with ABC News that aired Thursday, Harding's estranged mom, LaVona "Sandy" Golden, denies that incident ever happened and that much of the drinking and abuse linked to her in the film was exaggerated or a fabrication, USA Today reports. 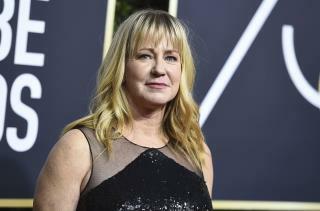 "I didn't abuse any of my children," Golden insists, though she does admit she "spanked [Tonya] once with a hairbrush at a competition," which was shown in the movie. "Spanked? Yes, [I] spanked. Absolutely, positively you [have] got to show them right from wrong." Golden is played in the film by Allison Janney, who won a Golden Globe for her performance. She's back in the news!!! now that I think about it, there's gotta be a job jor her in the white house. she's over qualified.